The first up in our nutritional series research of super foods for runners is the “Strawberry!” Strawberries are considered the runner’s most perfect fruit. Strawberries bring to the table some really excellent benefits—from repairing muscle to maintaining energy. This iconic fruit is sweet and tasty with a powerful pact of nutrients that are a focal point of repairing and energizing the runner’s body. Authenticity of voice comes from an individual who shares an actual experience in their life that can help and educate others. A running partner of mine involved in long distance running shared that he was challenged with timely recovery. At the end of a 20-miler this athlete blended up 10 strawberries and consumed right after the end of the run. Immediately, he felt a difference in energy level and muscle repair. He experienced a true difference in energy and a quicker recovery immediately after the consumption of the strawberries. Strawberries are packed with vital nutrients. One would be vitamin C, which is a water-soluble vitamin with potent antioxidant capabilities essential for many biological functions, most notably ensuring proper wound healing and maintaining cartilage. Vitamin C is a water-soluble vitamin with antioxidant capabilities essential for many biological functions, most importantly promoting proper muscle healing and supporting cartilage repair. Potassium is responsible for correct balance of electrolytes. Supports healthy muscle contractions, and maintains normal blood pressure. Potassium can lower blood pressure by hindering the effects of sodium hence decreasing blood pressure. A serving of strawberries provides five percent of the Daily Value for potassium. Folate which is a vitamin B found in foods such as strawberries, oranges, green leafy vegetables and beans. Vitamin B is responsible for energy levels and aiding the absorption of protein. Fiber is considered an important element for heart health. Medical studies empirical and primary research report that people who eat higher amounts of total fiber have a lower risk of heart disease. Dietary fiber lowers blood cholesterol and promotes a healthy digestive system. Eight medium strawberries provides three grams of fiber. Antioxidants are the army against diseases, which promote optimum health. Research shows that antioxidants in strawberries are absorbed within one hour after being consumed. Strawberries are ranked in the top ten fruits high in antioxidants which is a great reason they are labeled a super fruit for runners. Folks, strawberries are light, sweet, and easy to eat, and packed with powerful nutrients. This food is a primary staple and should be on the shelf of every runner’s refueling library. The two main strengths that are important for successful running is repair and energy. Strawberries have high doses of both those functioning elements. 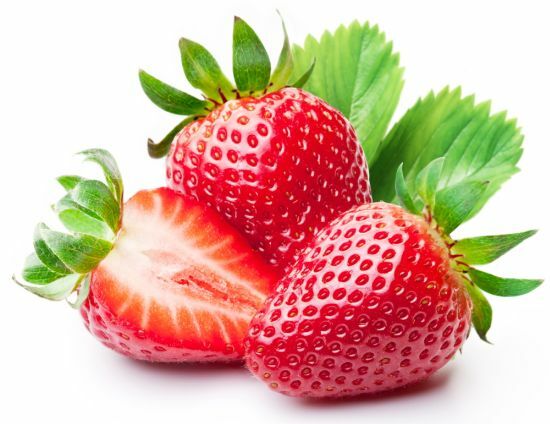 Please add the amazing strawberry to your runner’s diet grocery list.